The McMurdo Building, more specifically its various ground floor tenants, has been taking us on a continental culinary peregrination over the decades. It began – and you may not be old enough to remember this – when McMurdo’s Drugstore had an American style lunch counter. (My favourite drugstore in the States still has one.) While waiting for your prescription to be filled you could sit at the counter and have a ham and cheese sandwich, a slice of apple pie with ice cream and a cup of coffee. 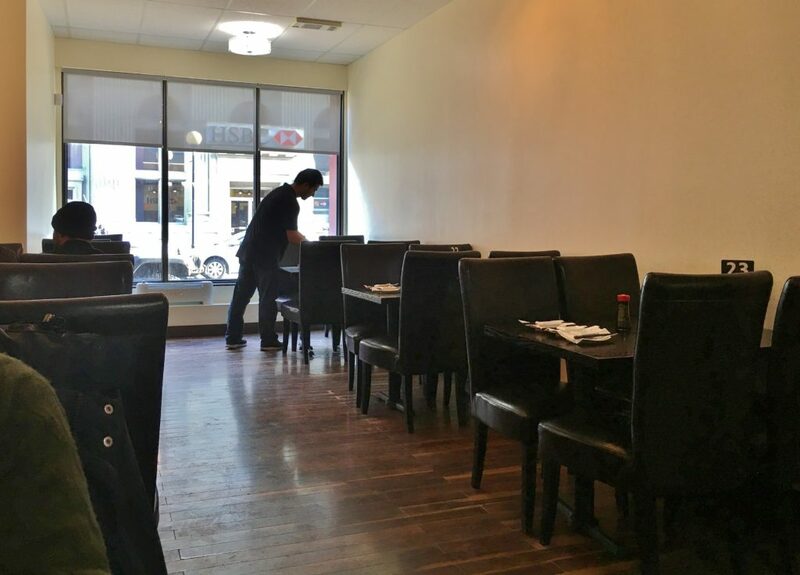 Later the space was rented by actual restaurateurs. Once a British style pub was located at number 210, that sold things like Scotch eggs, bangers and mash, fish and chips and, of course, ale. A couple of different Chinese restaurants occupied the ground floor as well, which amounted to a tour of the Chinese provinces. I remember eating jellyfish and marinated pig’s knuckle there during the Chinese occupation. 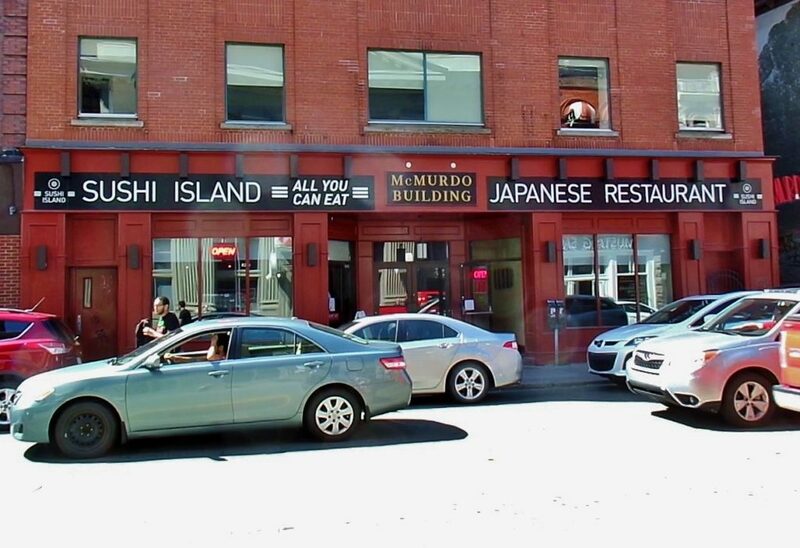 Nowadays 210 Water Street is the home of a Japanese restaurant called, Sushi Island. I’m told it’s especially popular on Fridays, for the all-you-can-eat buffet. 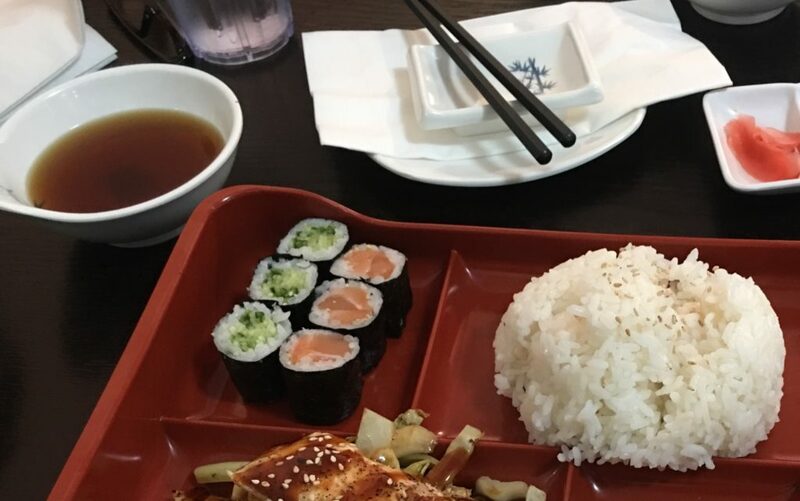 But, be careful how many tempura shrimp, salmon hand rolls or other pieces you order, because for every uneaten piece of food you’ll be charged either an extra $1 or $1.50. If it’s possible for a restaurant to be literally too bright, Sushi Island is close enough to the line to touch it. I would have liked more subtlety in the lighting scheme. Highly subdued lighting and intimacy are not to be found at Sushi Island, so, for that, you’ll have to go elsewhere. 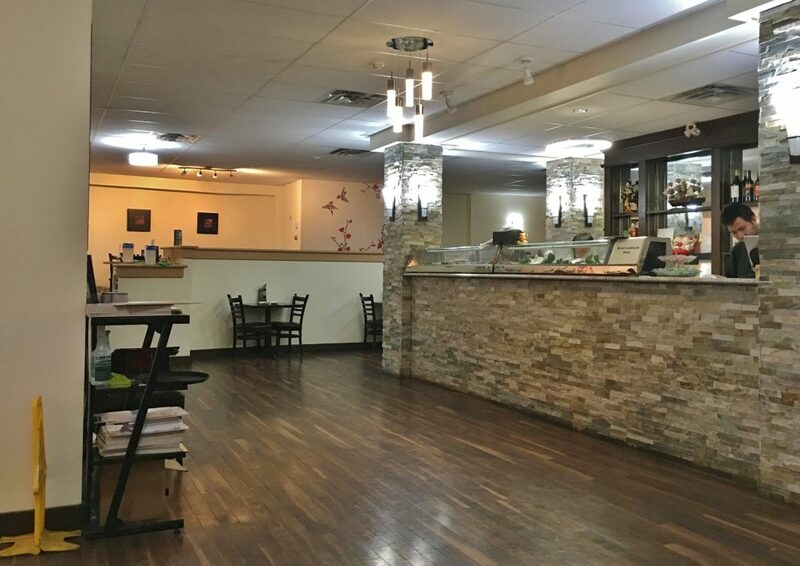 Sushi Island is a large restaurant, seating approximately 70 diners. It has two separate dining rooms that run parallel to each other – think of the letter H. The connecting dash, in between, is a corridor with a cut stone service counter. Dark, hardwood flooring anchors pastel walls, some of which are decorated with decals of birds and cherry blossoms. Other walls are plain or have a few small hung pictures. Many chairs are upholstered and have tall backs, while others are of plain, dark wood. I decided to order individual buffet items, while spouse opted to have the special lunch bento tray. 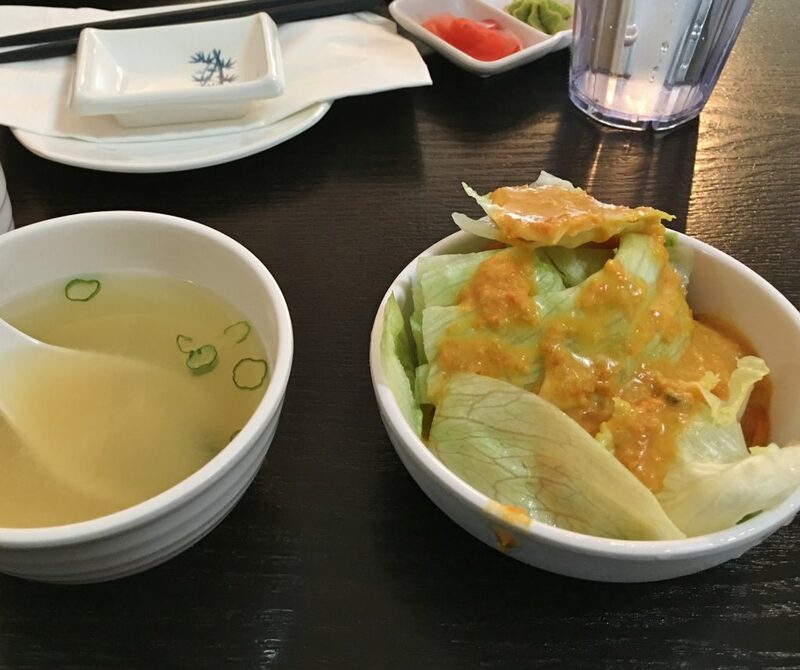 Surprisingly, the bento tray was preceded by what I assume were meant to be appetite starters – miso soup and salad. The soup was quite basic, standard earthy tasting dashi and miso. No greens, other than some sliced green onions floating on top, and just a few small cubes of tofu. Sushi Island’s salad wasn’t much more complicated. It consisted of torn, faintly green iceberg lettuce dressed in a sauce that reminded me a little of 1000 Island salad dressing. Of course, the sauce’s aromatics were more exotic tasting but it was as sweet, and similar in consistency and colour. 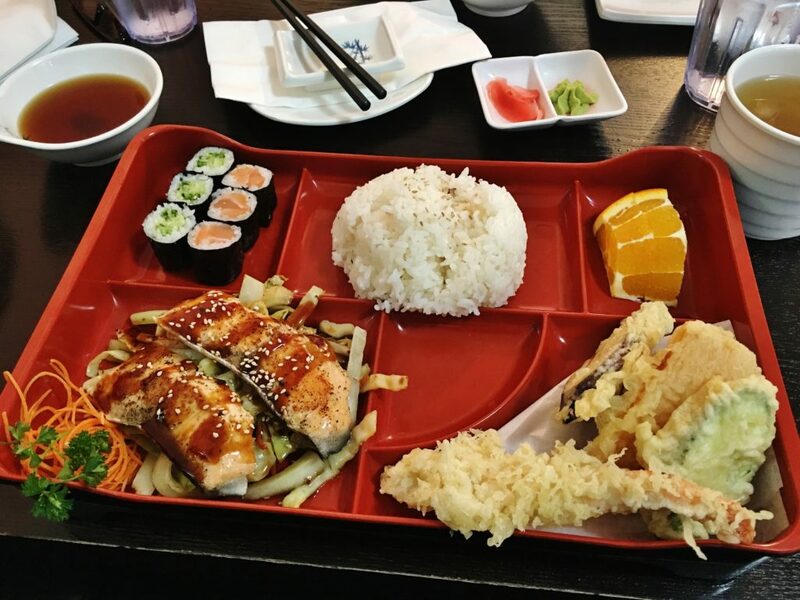 Next came the bento tray. Apart from a portion of plain, steamed rice and a quarter of a fresh orange, it had tempura shrimp, sweet potato and zucchini, salmon maki, cucumber maki and strips of grilled salmon fillet. Tempura is Japan’s answer to Portuguese fried fish. When Portuguese immigrants brought their method of frying fish to Japan, the Japanese came up with their version of it. After shelling, deveining, battering and deep frying, tempura shrimp looks nothing like fish or shrimp. 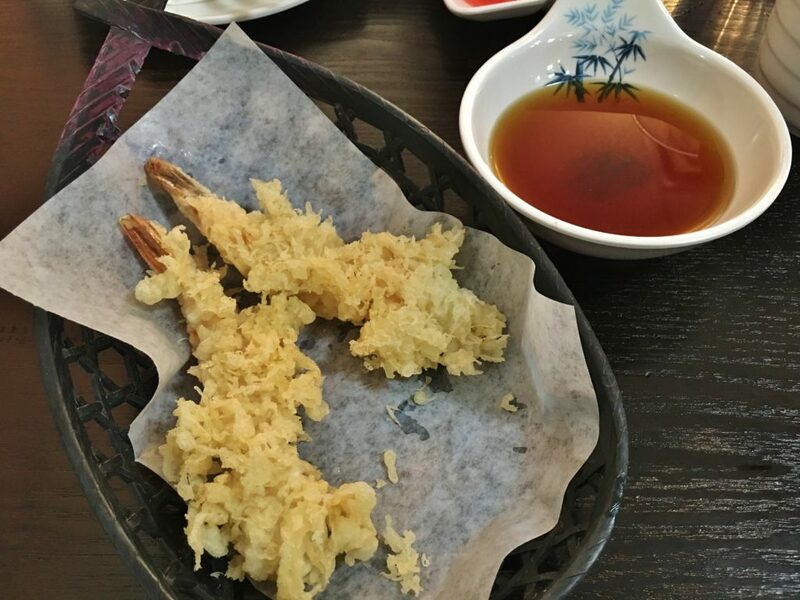 Sushi Island’s tempura shrimp resembled a strip of flesh that had been rolled generously in the flakes of a smashed feuilleté pastry. It was interesting to look at and delicious with the dipping sauce that tasted of soy, rice wine and sugar. Cucumber maki was exactly what you’d expect: refreshing and mild. (Later, a vegetable maki, this time with a generous amount of avocado, left a similar impression.) The salmon maki? Plump with top notch, rosy raw fish. Grilled salmon, on a salad of sliced cabbage, although a tad overcooked, was also very good. Sturdy udon noodles – like something designed by a civil engineer – starred in my udon vegetable soup. They were thick, in no danger of breaking, but still tender. 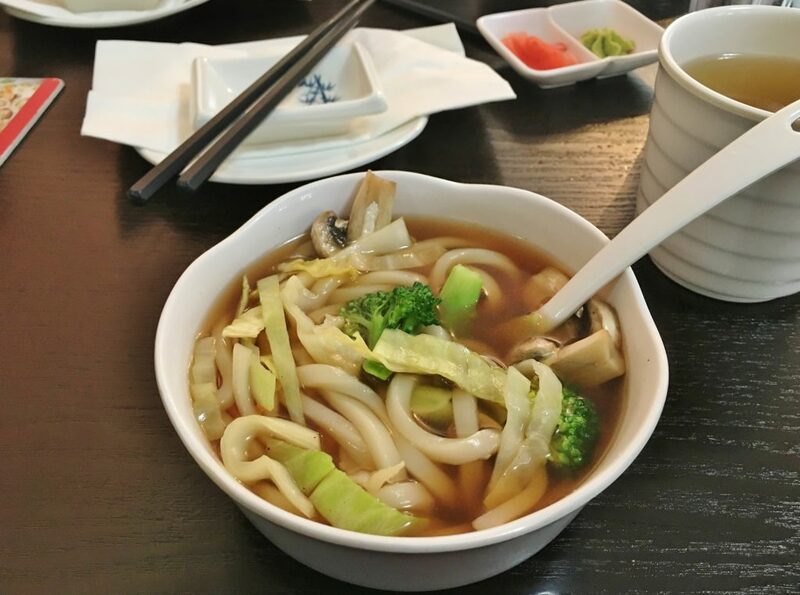 I loved them in combination with the excellent vegetable broth and steamed broccoli, mushrooms and cabbage. A staple in many Chinese restaurants caught my eye. 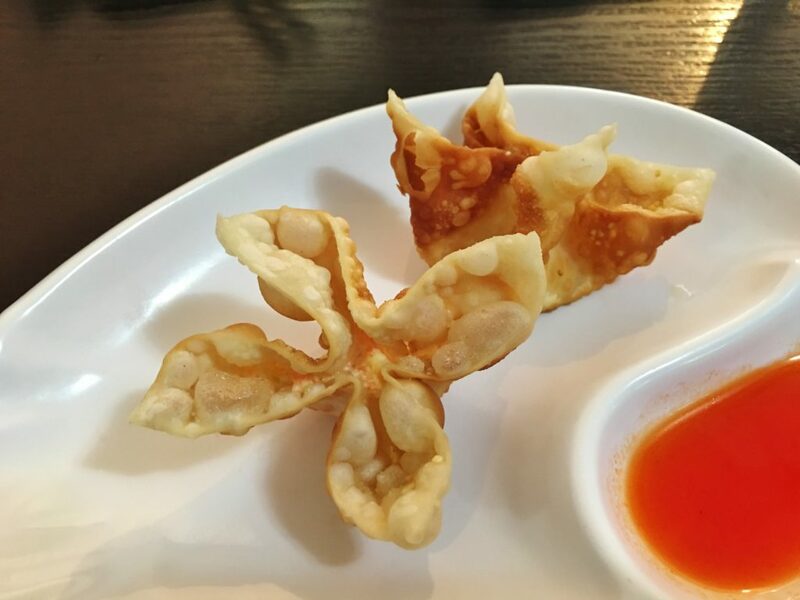 I thought it odd that cheese wontons would be available in an establishment with the words “Japanese Restaurant” over the entrance. Still, “maybe,” I thought, “they’ve done something different.” They hadn’t. 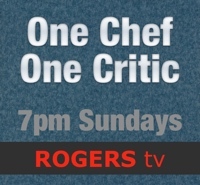 Expect the usual wrappers filled with Philadelphia cream cheese, folded, pinched and deep fried. Mackerel is a fish that tastes unmistakably like fish. You’d never mistake it for anything other than an ocean dwelling creature with gills and fins. That’s why I like it. My single piece of mackerel nigiri left me wanting a few more. The spicy salmon hand roll, a cone shaped from nori filled with sticky rice and fresh, raw salmon wasn’t that spicy. I gave it extra kick by employing the pickled ginger and wasabi at our disposal. 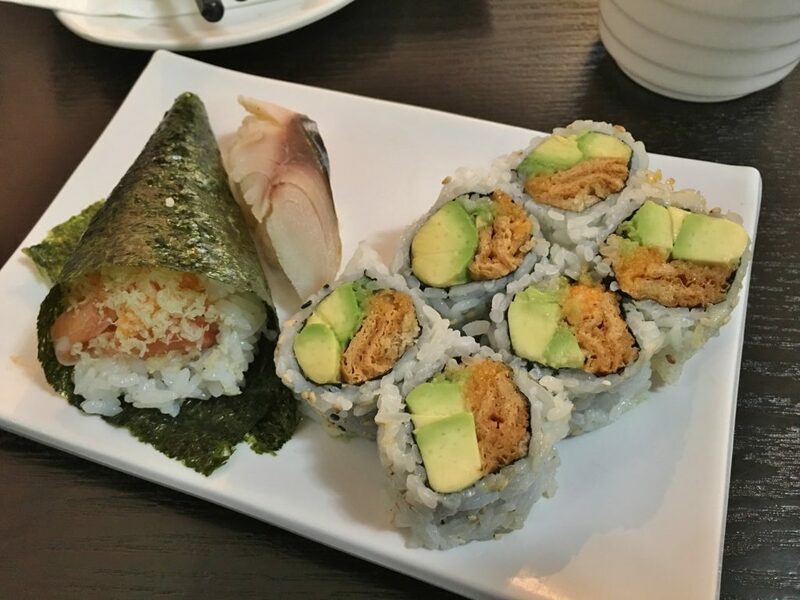 It was a hand roll that required both hands to eat, making it more nosh than nibble. 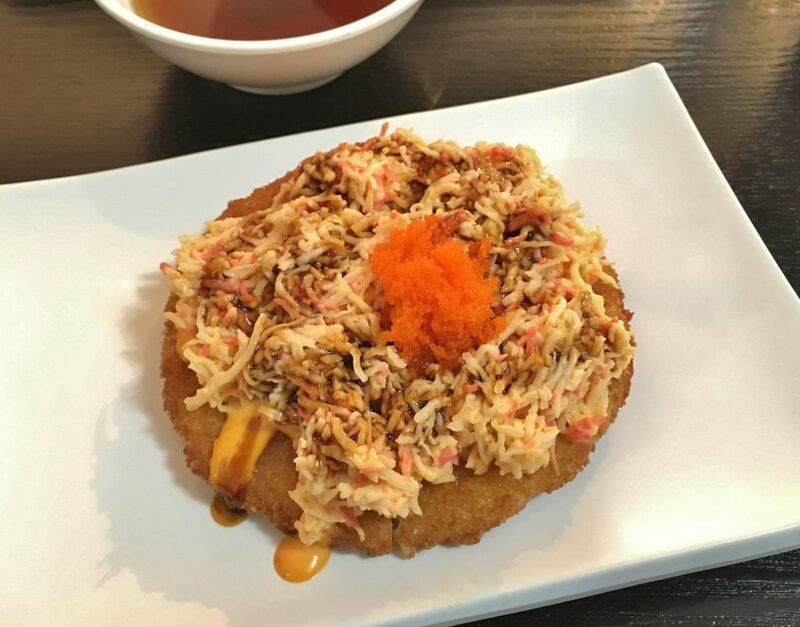 Spicy crab pizza, in a Japanese sushi restaurant, means, instead of dough – with toppings – baked in the shape of a plate, sticky rice shaped into a flat round that’s been breaded and fried and then topped with cooked crabmeat. The flat base, the crab and decoration of orange fish roe made this pie – confirmed by my devouring of tranche after tranche – quite moreish. Sushi Island’s food was a pleasant, and bright – this time I’m not being literal – culinary diversion at a rather dull time of the year. It provided quality, eye appeal, variety and affordability, delivered in timely fashion and with a warm smile. Price Lunch for two with tea, tax and 18 percent tip costs approximately $40. Service Friendly, but business-like – meaning constant eyeing of the table to clear, serve and then present the bill. Ambiance Like a school classroom, because of the bright light – a combination of window and electric lighting. Open Monday to Thursday: 11 a.m. to 10 p.m. Friday and Saturday: 12 p.m. to 11 p.m. Sunday: 12 p.m. to 10 p.m.
Credit cards Debit and cash only. Parking Metered street parking, or the parking garage across the street. Beverages Jackson Triggs white and red house wine, sake, Sapporo beer and a variety of domestic beers, soft drinks, juice, coffee and tea. Best bets Udon vegetable soup, spicy salmon roll, vegetable maki and spicy crab pizza.